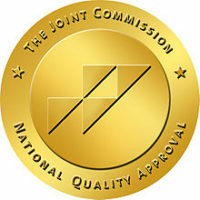 Wellspring Nurse Source is proud to have earned and maintained the Joint Commission’s Gold Seal of Approval. To contact our management team or the Joint Commission about concerns regarding the quality of patient care provided by our employees, call Wellspring Nurse Source at 877.756.0990 (email: hello@wellspringnursesource.com) and/or call the Joint Commission at 800-994-6610 (email: complaint@jointcommission.org). No disciplinary or punitive action will be taken as a result of any such report.